I've been working on a pixel img extract by using gauss filter from raw pic. 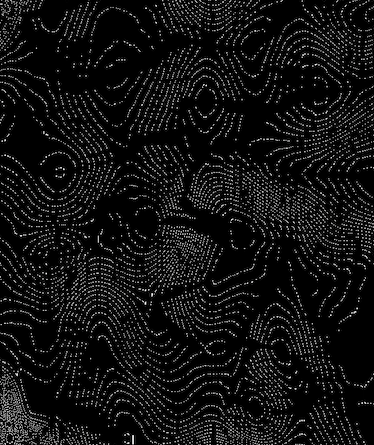 By searching online I couldn't find any solution to detect how many cluster center or contour lines center from such pixels. A similar answer from here provided by @honestduane solved nothing, but the line "Just use a Non-Euclidean http://en.wikipedia.org/wiki/Haversine_formula based algorithm to first look at where they are spawning to find the number of objects within a set gap size" is quiet interesting. I still try to find a way to detect the cluster center of each mountain in the pic, please help me! Browse other questions tagged math computer-vision object-detection noise perlin-noise or ask your own question. Fastest Perlin-Like 3D noise algorithm?